With spring’s brighter mornings and milder temperatures descending on London, we thought the time was right to turn our attention to water sports. 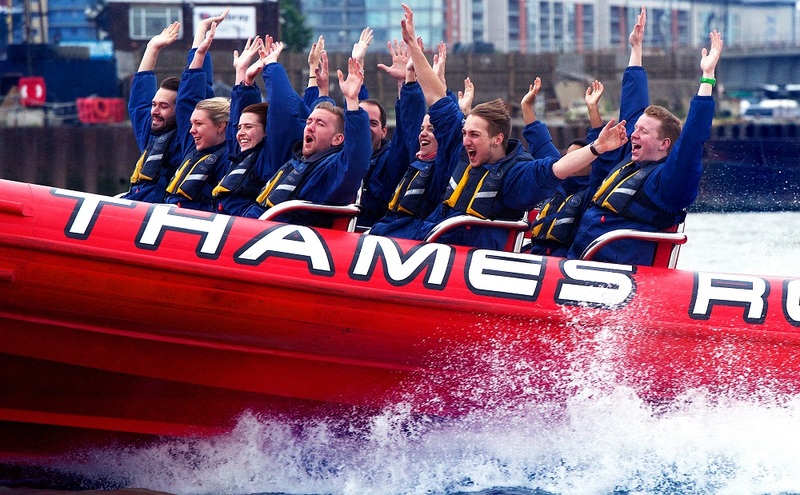 The lovely folk at Thames Rockets offer Powerboating for Two, an experience that a few of the staff here at RLD HQ have already been delighted to try out themselves. 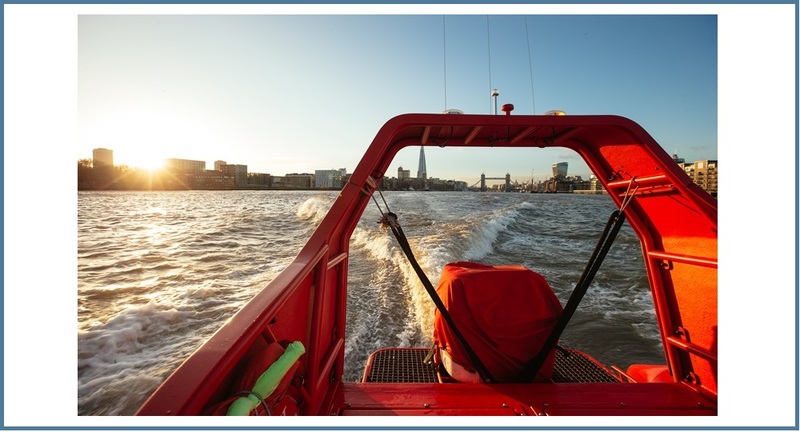 The multi-award-winning rigid inflatable boat experience has been ruling the Thames since 2006, offering an unmatched way to take in London’s iconic skyline with an injection of speed-fuelled adrenaline. We could think of no better blogger to send on this adventure than Yinka from Vex in the City. The lovely Londoner’s ‘carpe diem’ attitude meant her ethos perfectly aligned with our own #LiveaLittle M.O. When the day of the trip came round, the sun was shining, London’s iconic skyline was standing to attention and Yinka was set to seize the day. After donning fetching waterproof jackets and meeting tour guide Geoff and driver Nick, it was “All Aboooooaard!”. Geoff was tour guide and he was on top form, leaving us in a fit of giggles and awe as he reeled off numerous random facts about our fab capital. It’s funny, growing up in London you think you know and have seen it all, but that couldn’t be further from the truth. 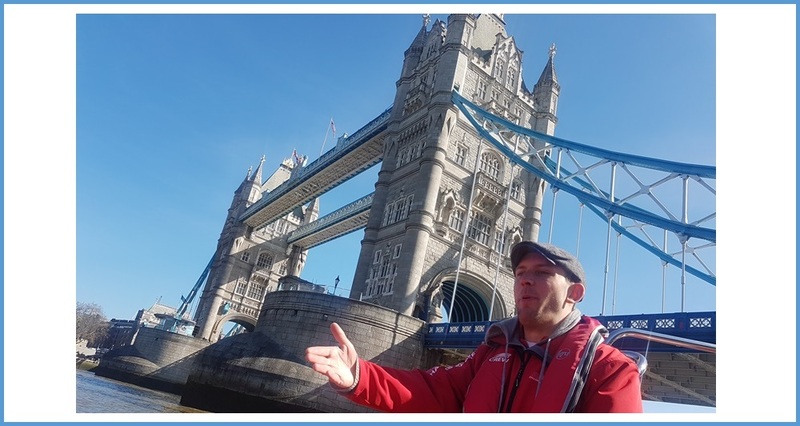 Along with an intrepid friend (Candice) and the rest of the RIB’s passengers, Yinka began her trip along the River Thames, and cruised past the OXO Tower, HMS Victory, Tower Bridge and the This Morning studios, to name but a few noteworthy sights. Then, as they passed out of the speed restriction zone, Nick sped up and the boat cut through the water like a bullet. To add to the sensory overload of the trip, the speakers were turned up at full blast to coincide with the boat’s acceleration. Everything from musical numbers to Bond theme tunes were belted out. At one point I may have been singing (yelling) along to Wicked’s ‘Defying Gravity’. It was fab! Combined with the adrenaline and our screams of delight (aka fear! ), we both had tears streaming down our faces in laughter, as the wind blew in our faces. It was hilarious. The boat was swerving from side to side, giving the impression we were going to capsize at any moment. Of course we didn’t, but that was part of the fun. 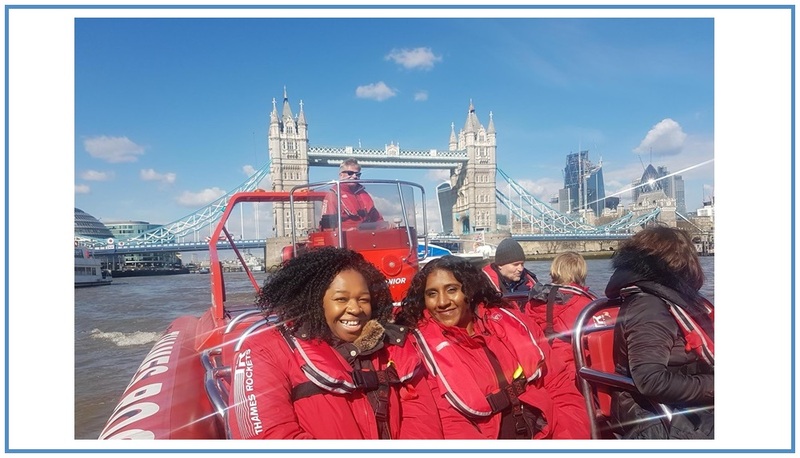 Yinka’s account of the day details how Candice nurses a fervent fear of both water and speed… so we’re particularly impressed that she went through with a ride on the fastest of all Thames speedboats. Kudos, Candice! The day brought together sweeping scenery, bracing water spray, fun facts and fiendish speed. But what was Yinka and Candice’s final impression? We really enjoyed the sightseeing part of the journey and absolutely loved the high-speed sections. I felt completely safe from start to finish and my friend, who managed to pass out on The London Eye (I kid you not) had a great time, which says a lot, despite her initial fears! What Else Do You Need to Know About Thames Rockets? Availability: 7 days a week in summer and Thursday – Sunday the rest of the year. Restrictions: Under 14s must be with a participating adult. The ride isn’t suitable for pregnant women. Wheelchair users are welcome. Weather: Trips go ahead in pretty much all conditions, but if in any doubt, just call the venue on the morning of your booked slot. Duration: You’ll spend around 1 hour 15 minutes on this experience, and that includes a briefing. Please turn up 15 minutes before the booked slot. Numbers: You’ll be sharing the powerboat with up to 10 other passengers, as well as a skipper and guide. Spectators: Feel free to bring along friends and family to watch from the shore, but just be aware they won’t be able to see much of the action. Dress Code: It’s strongly advised that you wear flat-soled shoes and that, if you wear glasses, they should be secured with a safety strap to make sure they aren’t blown away. Lifejackets are provided on the day. Love water sports? In the past, we’ve encouraged our readers to Try a Water Sport in Honour of World Water Day. Take a look at our post and decide if it’s flyboarding, jet biking, surfing or white water rafting that’s the best fit for you! Images courtesy of Thames Rockets and of Yinka and her blog VexintheCity.